Here are a few Operating System Interview Questions for you! 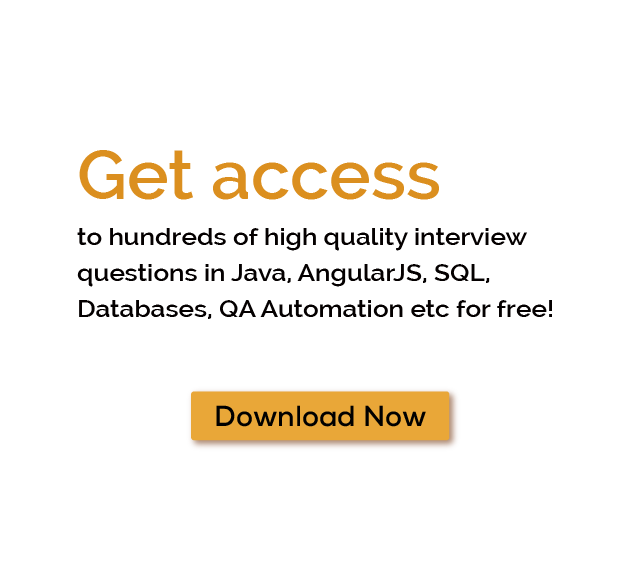 Download more High Quality Operating System Interview Questions! A computer can be defined as an electronic device that is given instructions to perform various functions using a set of operations called ‘programs’. A computer has two main components: Hardware and Software. Thus, if the hardware is the body of the computer, then the software is its soul. Software defines the parts of computers that cannot be touched by hand or do not have a matter form like data, programs, etc. The term software is divided into two categories: System Software and Application Software. Operating System is the computer operator. An Operating System (OS) manages software resources and computer hardware. It is system software that provides common services for computer programs. OS is a set of system programs that permit the user to execute application software. Many computers can run more than one operating systems that are different from each other. An operating system manages the allocation of the computer's memory and helps the user to communicate with the system without any knowledge of the language of computers. Single-user OS does not differentiate between users, but have the facility to permit the execution of multiple programs at once. A multi-user operating system adds facilities to the initial concept of multitasking such as recognizing resources and processes (relationship of various users, disk storage). It enables multiple users to interact with the computer system at the same time. Time-sharing OS may include accounting software for mass storage, processor time cost allocation, printing, etc. In this case, the OS uses certain criteria to allot a specific amount of time to one task and then allows the next task to use the operating system. In this case, each process provides time to the other process in a definite manner. Templating can be defined as a process to create a virtual machine image that works as a guest operating system which is further saved as a tool for various running virtual machines. The technique can be used in both computing management and virtualization. In a distributed operating system, a group of different computers is made to appear as a single unit, i.e., a single computer. The advance of networked computers that are capable of communication and linkage is the cause of distributed computing. Such computations are executed on more than one machine. This operating system may be multi-tasking or single. It processes data according to a certain moment in time. This OS uses special algorithms for scheduling. A time-sharing OS switch task is based on clock interruptions whereas an event-driven OS switch task is based on external events. Embedded computer systems work with Embedded Operating Systems. These OS are designed to work on minor machines like PDAs which have less autonomy. Being very proficient by design, they are compact. They can operate only a limited number of resources. Minix 3 is an example of the embedded OS. Embedded systems with determined deadlines use a real-time operating system. Services such as networking are organized in the form of libraries in a library operating system. These services are attached with the application and configuration code to create a unikernel. A unikernel is a single specialized address space machine image that can be located in embedded environments or to the cloud. Memory management cannot be done without an operating system. Multiple programs are executed in the memory at once. Without an operating system, the processes may mix up, and the system will not work. It is a process to start the computer to work after checking it. The data stored is protected from piracy, deletion or modification by the presence of OS. Before execution, a program is loaded. The operating system facilitates this. The CPU is capable of performing only one task at a time. Therefore, if many tasks are present, then the operating system decides the precedence. The OS manages disk space. Command-line Interface: In this method, an interface is provided to communicate with the system with the help of typing commands. Graphical-line Interface: In this method, the visual environment acts as the medium between the user and the computer. Graphical objects such as icons, windows, menus, etc., are used to give commands. Some of the many Operating System Interview Questions listed below will help you get an idea about what questions gets asked in such jobs related to Software Engineering & Tech. Get through the Operating System Interview bar with our selected Operating System Interview Questions for all Operating System enthusiasts! For thousands of similar Operating System Interview Questions login to our Website or download EduThrill. Experience the thrill of challenging people around the world on Operating System Interview Questions!